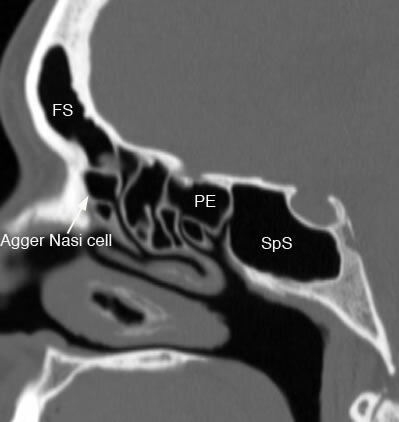 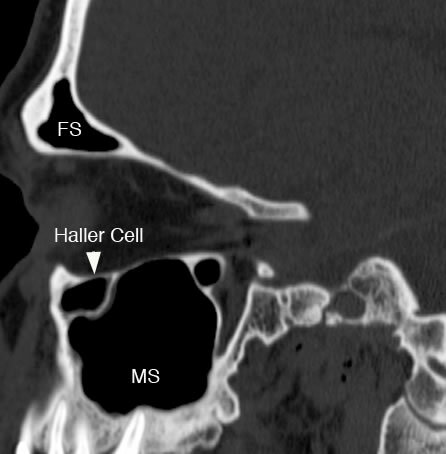 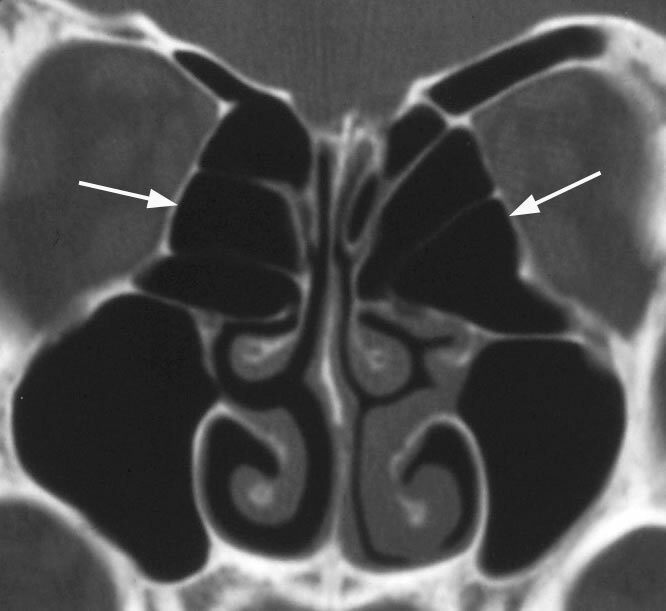 The ethmoid sinus can have a variable number of air cells. 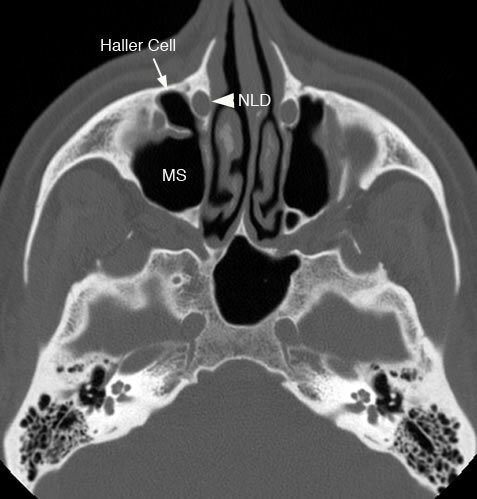 Additionally, the ethmoid sinuses are divided into groups of cells by bony basal lamellae. 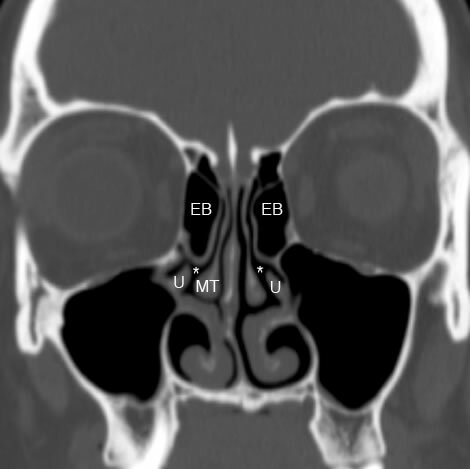 The most imporant one is the basal lamellae of the middle turbinate which separates the ethmoid into anterior and posterior groups with different drainage patterns. 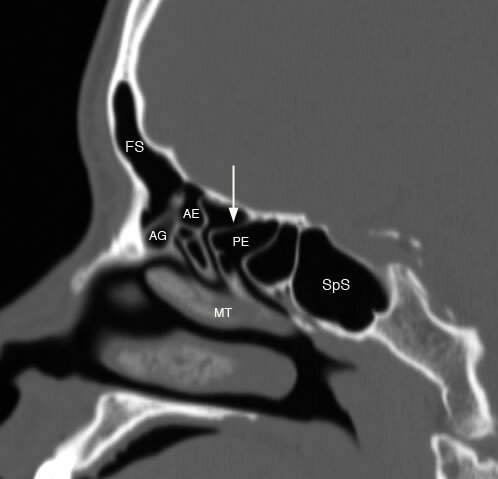 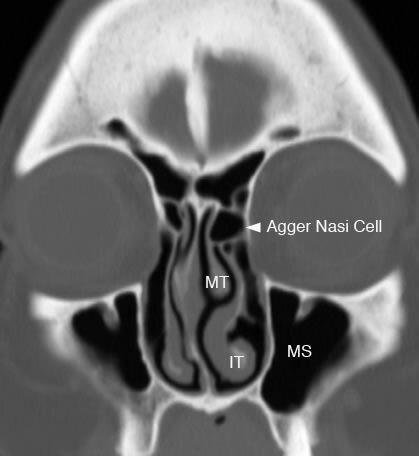 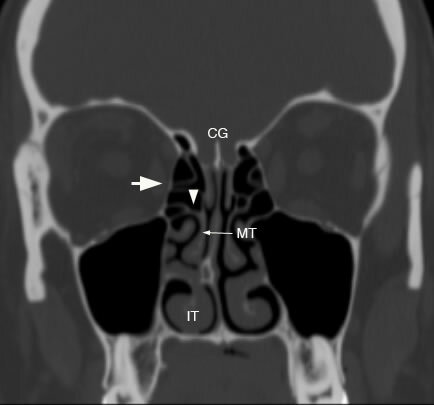 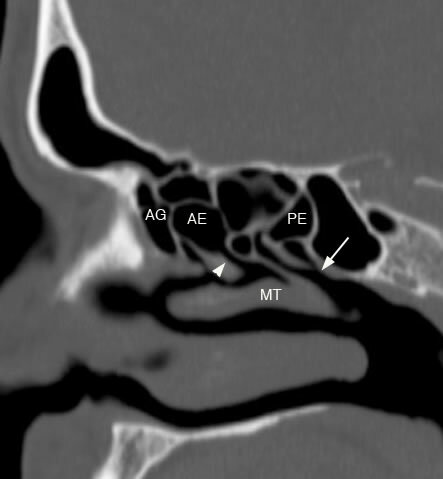 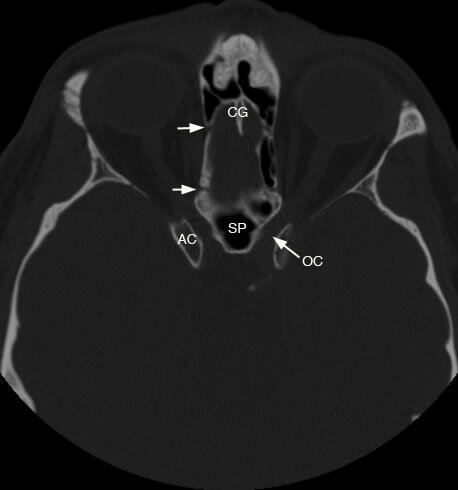 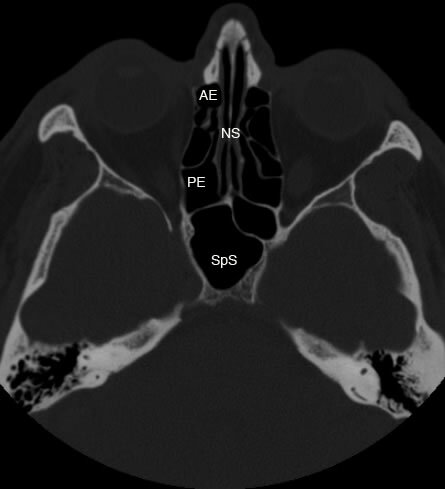 Axial view shows small arrows demonstrating bony canal for anterior and posterior ethmoidal arteries (CG: crista galli, AC: anterior clinoid process, OC: optic canal, SP: sphenoid sinus). 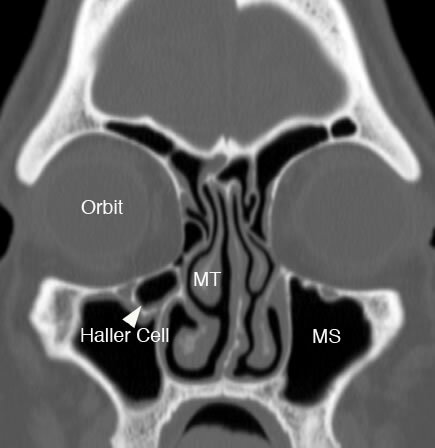 Coronal image with arrows pointing to enlarged ethmoid bulla encroaching on the OMU. 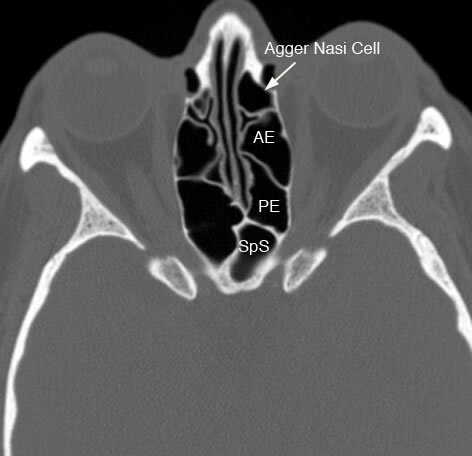 Ethmoid bulla air cells can demonstrate variable pneumatization.